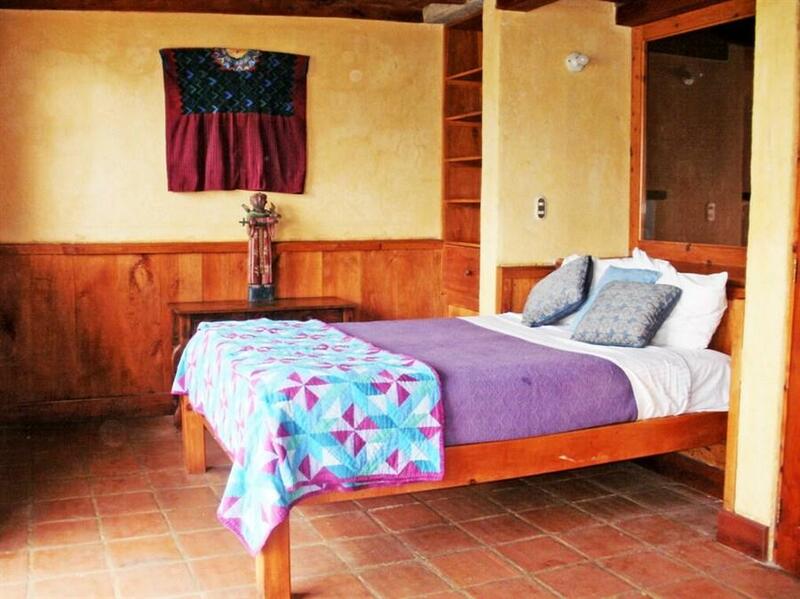 ﻿ Best Price on Atitlan Sunset Lodge in Santa Cruz la Laguna + Reviews! Atitlan Sunset Lodge Apartments are located on the shores of Lake Atitlan in Santa Cruz La Laguna and boast excellent volcano views. Free Wi-Fi and kayak use are provided at this property. Accessed only by boat from Panajachel, the apartments at Atitlan Sunset Lodge Apartments come with a large seating area, plus a dining table and a private terrace with lake views. The private bathrooms are equipped with a shower and toilet. Santa Cruz La Laguna town center, just 1.2 mi from the property, offers several restaurants serving local cuisine. Other options can be found in neighboring Panajachel, a 10-minute boat ride away. Atitlan Sunset Lodge Apartments manager can assist- guests in arranging activities like lake tours, hiking, kayaking and paragliding. La Aurora International Airport in Guatemala City is 71 mi from the property. Upon arrival the guest will be asked to sign a contract for the stay.This property is a vacation rental apartment and not an hotel, for tax purposes a rental contract has to be signed in english and spanish. Please inform Atitlan Sunset Lodge of your expected arrival time in advance. You can use the Special Requests box when booking, or contact the property directly using the contact details in your confirmation. This property does not accommodate bachelor(ette) or similar parties.